The Bowling Green Hot Rods jumped out to an early lead and added three insurance runs in the seventh inning in a 6-3 win over Lake County. 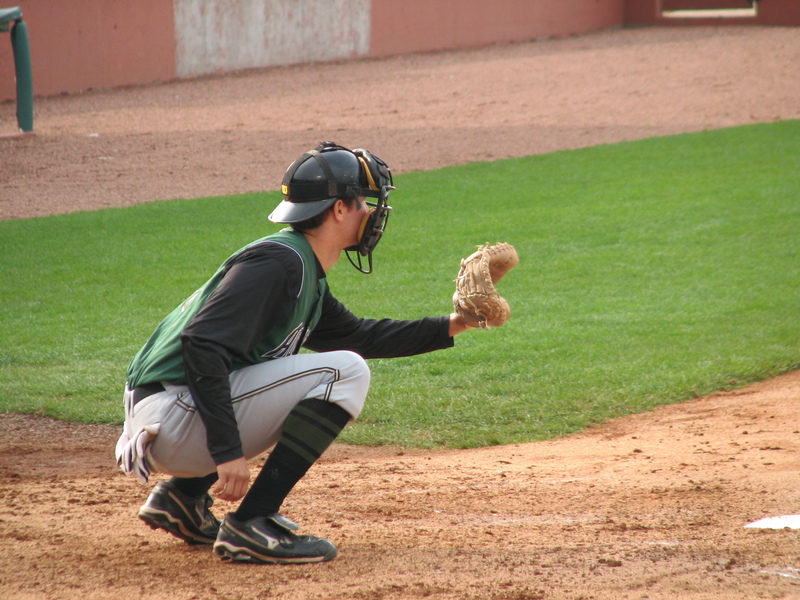 Catcher Lucas Bailey was 2-4 with one home run, one RBI and two runs scored. The Louisville Bats tallied just five hits in a 4-0 loss to Buffalo. Right-handed pitcher Chad Reineke took the loss after surrendering four runs on six hits in six innings while striking out one batter and walking two. Left-handed pitcher Mike Foltynewicz fell to 0-5 on the season after a 5-2 loss to Hagerstown. Foltynewicz surrendered three runs on eight hits in five innings while striking out four batters and walking two. Walton native and former NKU outfielder Jake Shaffer was 2-4 with one home run, four RBIs and one run scored for AA Jackson. Former UofL outfielder Josh Richmond was 2-4 with one home run, three RBIs and one run scored for low A Hickory. Former UK left-handed pitcher Andrew Albers took a no decision in his first start of the season for high A Fort Meyers after surrendering three runs on six hits in four innings while striking out two batters and walking two. 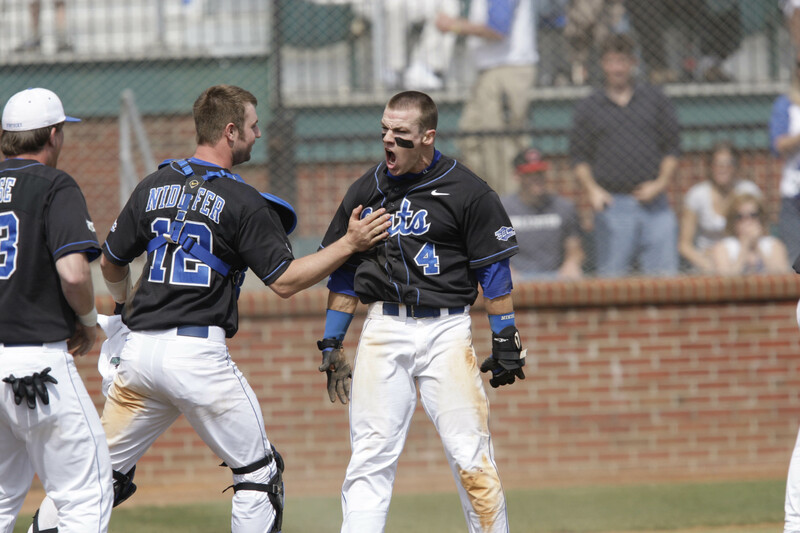 Former UK first baseman Ryan Strieby was 2-5 with two doubles, one walk and one run scored for AAA Toledo. Former UofL third baseman Chris Dominguez was 2-6 with two runs scored for high A San Jose. St. Mary’s alum Shawn Roof was 2-3 with one walk and one RBI for low AA Hickory. Former UofL left-handed pitcher Zach Jackson, who transferred to Texas A&M before the draft, took a no decision after surrendering three runs on eight hits in six innings while striking out two batters while walking one. Lexington native Chaz Roe took a loss after surrendering five runs on nine hits in six innings while striking out eight batters and walking two. The Bowling Green Hot Rods scored a single run in the ninth inning to earn a 9-8 win over Lake County. Former UofL infielder Phil Wunderlich was 3-5 with one home run, one RBI and three runs scored, and shortstop Derek Dietrich was 2-4 with one home run, five RBIs and two runs scored. The Louisville Bats blew a ninth-inning lead in a 6-5 loss to Buffalo. Shortstop Zach Cozart was 3-4 with one home run, one RBIs and one run scored, and third baseman Todd Frazier was 3-4 with two doubles, one RBI and two runs scored. The Lexington Legends and Hagerstown Suns each tallied 11 hits, but the Legends left 11 men on base in an 8-2 loss. First baseman Tyler Burnett was 3-4 with one RBI and one run scored. Louisville native and former UofL catcher Jeff Arnold was 2-4 with one double, two RBI and two runs scored for low A Augusta. Former UK first baseman Ryan Strieby slugged his fourth home run and drove in two runs for AAA Toledo. Former Kentucky Wesleyan right-handed pitcher Cory Wade earned his first win of the season with a scoreless inning of relief for AAA Durham and boasts a 1.00 ERA in 18 innings in 2011. Former UK infielder Gunner Glad was 2-4 with one double, two RBIs and one run scored for low A Beloit. Lexington native and former UK outfielder John Shelby slugged his fourth home run of the season for AA Montgomery. 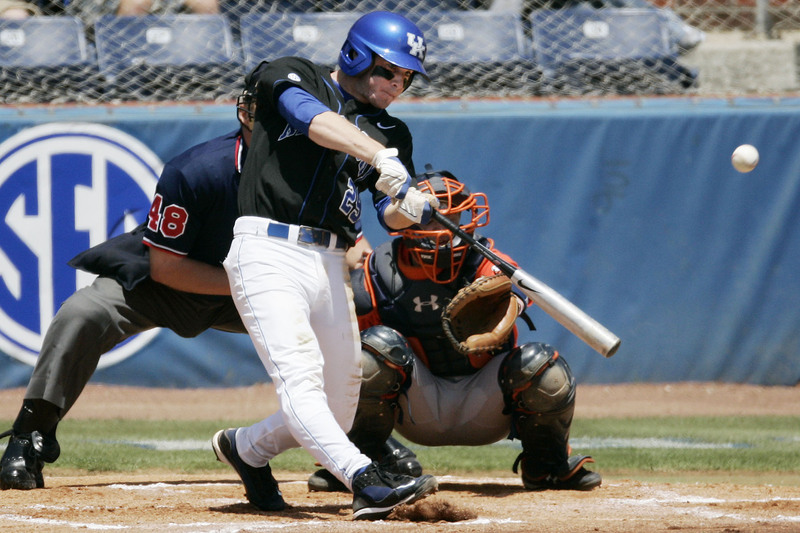 Former UK infielder Chris Bisson drove in three runs for low A Fort Wayne. Former UK left-handed pitcher Chris Rusin took a no decision after surrendering four runs on five hits in five innings while striking out six batters and walking two for AA Tennessee. Louisville native and former Bellarmine right-handed pitcher Todd Wellemeyer took the loss in his season debut, surrendering four runs on eight hits in three and two-third innings for AAA Iowa. In the completion of a game suspended in the third inning on Monday the Lexington Legends exploded for 11 runs over four innings in a 15-2 win over Augusta. First baseman Tyler Burnett, designated hitter Delino Deshields Jr. and right fielder Adam Bailey each homered in the game for Lexington. The Legends continued their hot hitting with a five-run first inning in game two of the double-header and held on for an 8-4 win over the GreenJackets to move into first place in the South Atlantic League South. 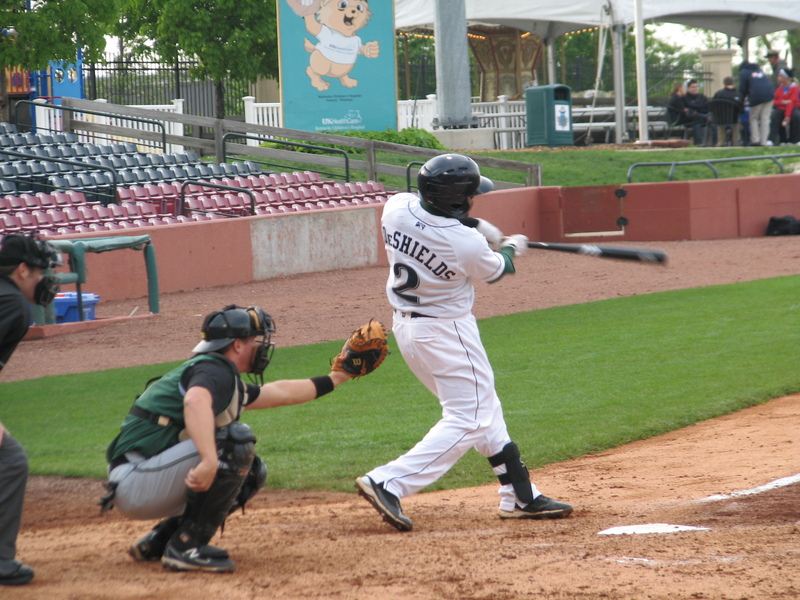 Deshields was 2-3 with one triple and two runs scored in game two. Louisville natives and former UofL catcher Jeff Arnold slugged his second home run of the season in game two for Augusta. 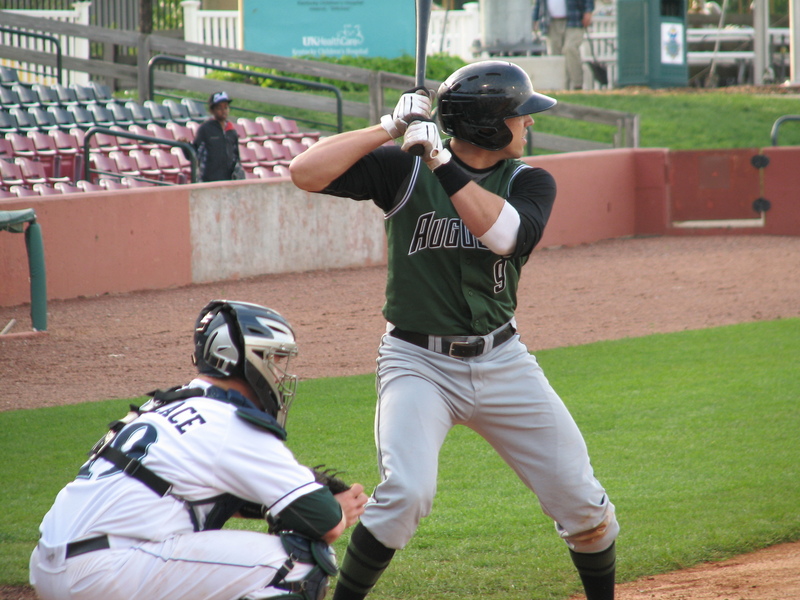 Louisville native and former UofL infielder Adam Duvall was 2-4 with one double and one run scored in game one for the GreenJackets. The Bowling Green Hot Rods used two three-run innings to earn a 6-2 win over Dayton in game one of a double-header. Former UofL infielder Phil Wunderlich was 3-3 with one home run, one RBI and three runs scored for the Hot Rods. In game two of the double-header Hot Rods pitchers held Dayton to just two hits in a 6-0 win. Right-handed pitcher George Jensen earned the win after surrendering two hits in five scoreless innings while striking out three batters and walking none. Shortstop Derek Dietrich was 3-3 with one double, one home run, three RBI and two runs scored. In game one of a double-header the Louisville Bats tallied just four hits in a 4-0 loss to Norfolk. Two-time National League All-Star Dontrelle Willis surrendered suffered his first loss of the season after surrendering four runs on seven hits in six innings while striking out 10 batters and walking one. The Bats broke through on the scoreboard in the second game of the double-header but still dropped a 2-1 decision to the Tides. Offseason Louisville resident Matt Maloney surrendered one run on six hits in five and one-third innings while striking out five batters and walking none but had to settle for a no decision. Mount Sterling native and former Morehead St. infielder Drew Lee slugged his fourth home run of the season for low A Kannapolis. Walton native and former NKU outfielder Jake Shaffer was 2-3 with one home run, one RBI and two runs scored for AA Jackson. Richmond native and former UK outfielder Keenan Wiley was 2-4 with one RBI, two runs scored and one stolen base for high A Lynchburg. Former UK left-handed pitcher Logan Darnell improved to 2-1 on the season after surrendering three runs on six hits in six innings while striking out five batters and walking one for low A Beloit. Former EKU left-handed pitcher Christian Friedrich improved to 2-2 on the season after surrendering one run on five hits in five and two-third innings while striking out four batters and walking one for AA Tulsa. Louisville native Tyler Kuhn was 2-4 with one double, one RBI and one run scored for AA Birmingham. Former Madisonville resident Matt Klinker earned his first AA win after surrendering two hits in five shutout innings while striking out four batters and walking two for AA Carolina. One-time UK outfielder turned second baseman Jason Kipnis, who transferred to Arizona St. before being drafted, was 2-4 with one double, three RBI and one run scored for AAA Columbus. Lexington native Robbie Ross posted his second straight poor start but still earned a win after surrendering five runs on eight hits in six innings while striking out four batters and walking none for high A Myrtle Beach. PLD alum A. J. Ellis was 2-4 with one double and one RBI for AAA Albuquerque.